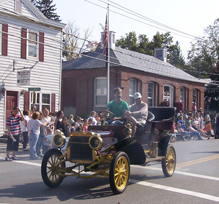 Nestled at the corner of New York State Routes 145 and 30, Middleburgh is the quaint home to many historic places of interest, local attractions, specialty shops and restaurants. Also hiking, hunting, fishing, kayaking are among one of the many activities for outdoor enthusiasts. Visit us and experience history! Need a Place to Stay? See below!